The 1988 Piper Alpha disaster – which claimed the lives of 167 men when an explosion destroyed the UK North Sea production platform offshore Scotland – triggered a major transformation of the UK offshore oil and gas industry that ultimately reverberated around the globe. 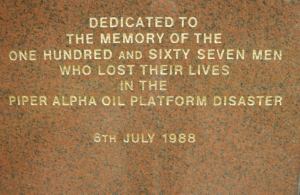 Still considered the worst oil and gas industry disaster in terms of loss of human life, the Piper Alpha tragedy resulted from poor management of the platform’s permit-to-work system and miscommunication between day and night shift workers. Due to a lost permit, the night crew working on Piper Alpha the evening of 6 July didn’t know that maintenance on a pump hadn’t been finished and it must not be switched on. When the crew turned the pump on to start general overhaul work, it created a condensate leak. The initial explosion occurred when the leak ignited, triggering more explosions that engulfed the platform in fireballs and dense smoke. The fires couldn’t be extinguished because most of the platform’s emergency systems failed to activate and were made worse by hydrocarbons still being pumped to Piper Alpha via the Tartan production pipeline. The inferno that consumed the platform was so intense that helicopters couldn’t get close to Piper Alpha to rescue workers, forcing survivors to jump off the platform into the sea. Bob Lauder, who retired as Health and Safety Manager with Oil & Gas UK on 30 May, recalls the crew on the Piper Alpha platform as a friendly, tight-knit community when he worked there from 1978 to 1980. In fact, many of the same people he had worked with on the platform were still there when the tragedy occurred. The UK government moved swiftly to address the tragedy, first with a technical investigation immediately following Piper Alpha to look for early learnings, but that was fairly limited due to the scale of the devastation and the fact that many witnesses had perished in the disaster, Mr Lauder said. The next effort was the Cullen Inquiry, which was launched in January 1989. 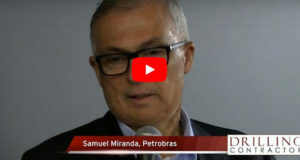 The 13-month inquiry, which is seen as the best-in-class inquiry of its kind in terms of major accidents, resulted in 106 recommendations that were adopted by the oil and gas industry with little dispute. 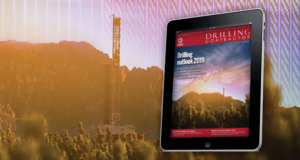 The Cullen Inquiry findings would bring about a major shift in offshore regulations, from prescriptive legislations to goal-setting legislations focused on major accident hazards, said James Munro, Senior Manager, Energy Divisions Offshore for the Health and Safety Executive UK. Under a goal-setting legislation, hazards are first identified and assessed for risk, then risk reduction and control measures are implemented to ensure risks are reduced to as low as reasonably practical (ALARP) and in compliance with other UK legal requirements, Mr Munro said. Because goal-setting legislation doesn’t specify solutions, it allows the regulatory regime to better keep pace with new technologies. 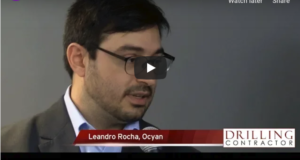 Further, it allows risk reduction and control measures to be tailored to specific local installation hazards and for innovation and continuous improvement to be promoted without having to reform regulations. “It places the responsibility with those who create the risk on how they are going to ensure safe operations, not on the government,” Mr Munro said. The cornerstone of new UK legislation following Piper Alpha is the Safety Case, which was adopted in 1992 and provides an extra level of regulatory control, in addition to other pieces of goal-setting legislation that were introduced following the Cullen Inquiry, Mr Munro said. These include the Prevention of Fire and Explosion and Emergency Response (PFEER) Regulations 1995, the Offshore Installations and Wells Regulations 1996, the Management and Administration Regulations 1995 and the Pipelines Safety Regulation (PSR) 1996. Australia, New Zealand and all European Union member countries with offshore oil and gas activities have adopted safety cases based on the UK Safety Case adopted in response to Piper Alpha. 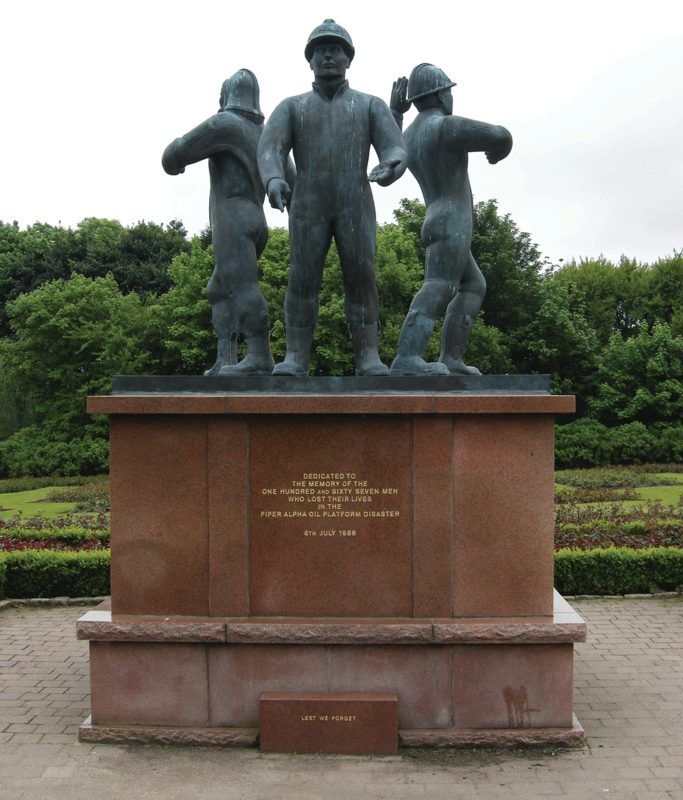 The Piper Alpha Disaster Bronze Memorial in Hazlehead Park in Aberdeen, Scotland, commemorates the 167 victims of the 6 July 1988 explosion on the Piper Alpha production platform, 12 miles offshore in the North Sea. 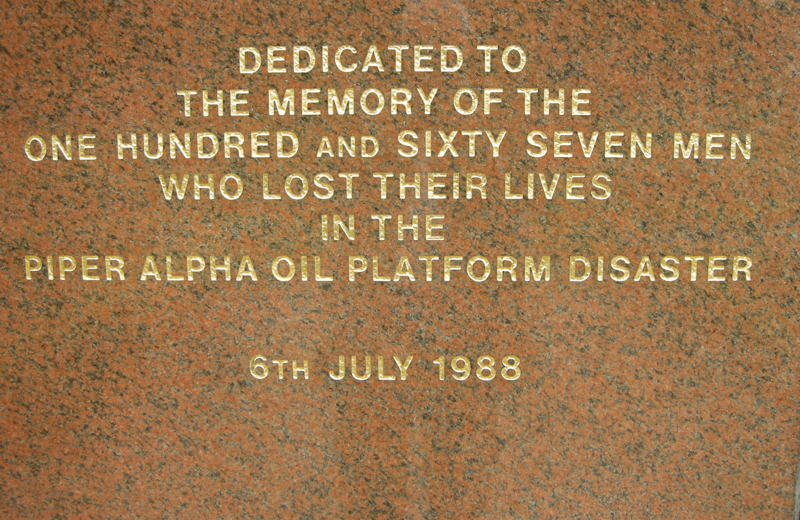 The memorial, dedicated on the tragedy’s anniversary in 1991, bears the names of platform workers who died and two crewmen of the Sandhaven vessel who lost their lives attempting to rescue workers from Piper Alpha. 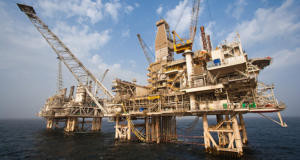 To operate on the UK Continental Shelf, all offshore production installations, such as fixed steel jackets and floating production storage and offloading vessels, are required to have Safety Cases. Non-production installations, such as drilling rigs and floatels, also must have Safety Cases, Mr Munro said. 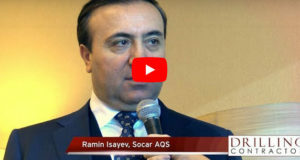 The Safety Case for offshore installations was adopted from the 1984 Control of Industrial Major Accident Hazard (CIMAH) regulations, which were designed to prevent and mitigate the impact of major onshore accidents on people and the environment. The CIMAH regulations were created through a European Commission Directive in response to accidents in the mid-1970s at a UK chemical plant and an Italy-based pesticides and herbicides plant. Under these regulations, onshore facility owners were required to submit a Safety Report (Case) to the health, safety and environment regulator. 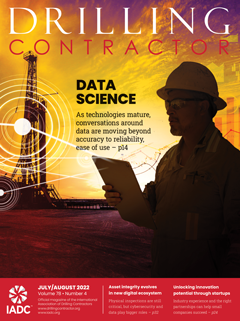 The latest version of these regulations are known as COMAH 2015. 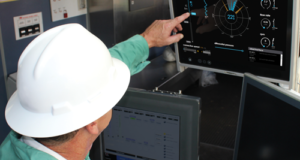 Since Piper Alpha, offshore installation safety has been in the mode of continuous improvement. 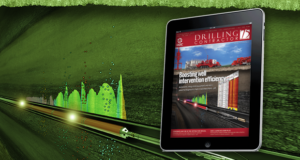 Examples include the introduction of subsea isolation valves on platform pipelines, the improvement of fire and protection systems, blast walls, the concept of a temporary refuge where workers could safely await rescue, and greater focus on emergency preparations and drills, said Trevor Stapleton, the incoming Health and Safety Manager for Oil & Gas UK. These safety enhancements are required under legislation passed in response to Piper Alpha: Design and Construction Regulations, PFEER and PSR, Mr Lauder said. It should be noted that some of the safety features, such as automated fire protection systems, were already in place pre-Piper Alpha. 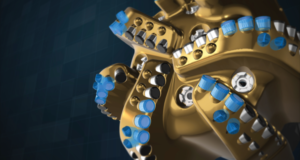 However, the Cullen Inquiry spawned a number of significant improvements to many of thosefeatures and prompted new requirements, such as subsea isolation valves. “While some of these may have been present prior to Piper, the incident clearly made the industry reexamine how effective its safety barriers were,” Mr Stapleton said. The Piper Alpha tragedy also significantly changed the type of training that workers received, both for offshore drilling and production installations. The Cullen Inquiry found that the Piper Alpha offshore installation manager (OIM) hadn’t received the necessary training for dealing with emergency situations. 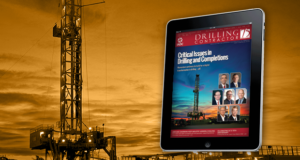 Now, an employee who wants to become an OIM for either a drilling or production installation must demonstrate their understanding of their operation and participate in drills as a stand-in OIM with the existing OIM present. Once the OIM believes the candidate is ready, the candidate must undergo and pass a formal assessment in order to assume the OIM role. 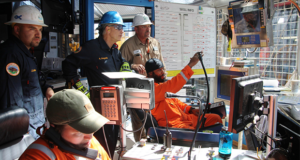 All platform workers are also required to receive personal survival skills training, as well as training specific to their job responsibilities, and regularly practice drills to prepare for emergency situations. 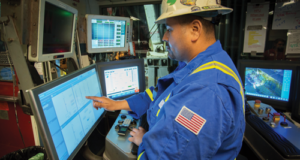 Safety representatives who are drawn from the workforce, not management, also oversee the maintenance and safety on their installation and meet alone with regulators during offshore visits to directly communicate any safety concerns. The focus on training today is about ensuring competency in workers in their particular roles. In the past, an employee might be promoted to control room operator because he or she had been a good production operator. Today, “you really have to prove your mettle in terms of controlling the plant and responding to alarm conditions” to land the job, Mr Lauder said. Mr Munro said he believes the underlying causes of major accidents, not the immediate ones, are due to management failure and lack of process safety leadership. A safety case alone also is not enough to prevent future offshore disasters, he added. Operators still need to thoroughly review their safety cases and findings from verification and wells examination schemes at least once every five years to ensure they are still effective and up to date. Data from third-party audits and investigations also should be assessed. “Rather than use occupational health statistics, such as lost-time injuries, the real focus should be on process safety and associated leading indicators, which gives much more insight into how a company is managing major accident hazard risks,” Mr Munro said. Further, a country with a goal-setting legislative approach must ensure it has a strong technical regulator. Prior to Piper Alpha, the UK Department of Energy oversaw North Sea production and enforced safety regulations. 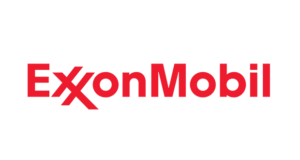 The Cullen Inquiry recommended that task be transferred to the Health Safety Executive, deeming the Department of Energy’s oversight of both areas as a conflict of interest. The inquiry revealed that the the Department of Energy lacked expertise in several key areas and had difficulty in recruitment. 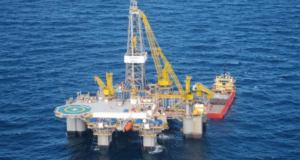 Today, HSE’s Energy Division regulates in partnership with the environmental inspectors of the Offshore Petroleum Regulator for Environment and Decommissioning, acting as a competent authority under the latest revision of the Safety Cases Regulations 2015, which covers safety and the environment. “Our approach is proactively major accident hazard focused, systematic and intelligence-led,” Mr Munro said. While the direct memory of Piper Alpha will diminish as older workers retire and younger workers take their places, the lessons of Piper Alpha are embedded in regulations and will not be forgotten. 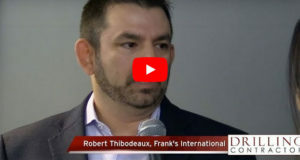 Click here to watch video highlights from the Safety 30 conference.